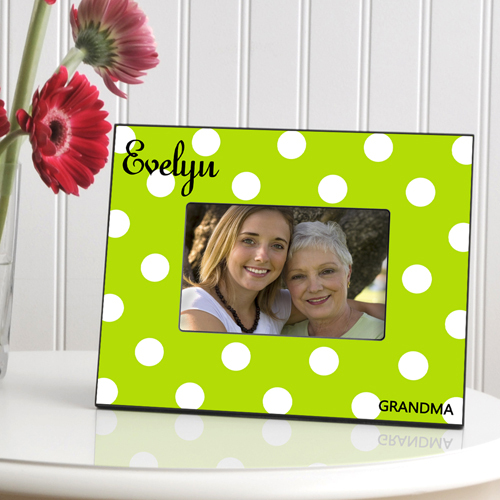 * With polka dots all the rage, our new Personalized Polka Dots Picture Frames are a great way for her to display a favorite picture. * Available in six dazzling colors to match any decor, this design is contemporary and eye-catching yet classy and suitable for a variety of occasions. 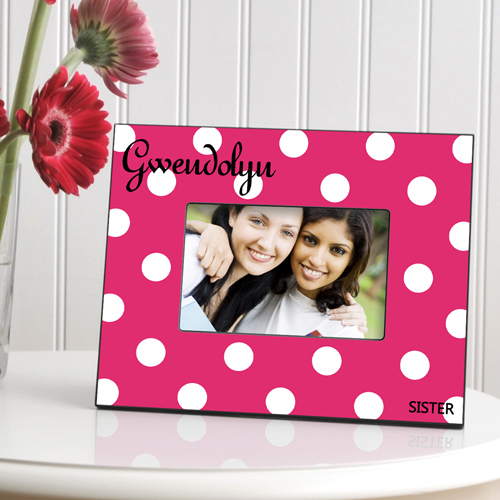 * Don't miss the opportunity to brighten someone's day with a personalized polka-dotted picture frame! 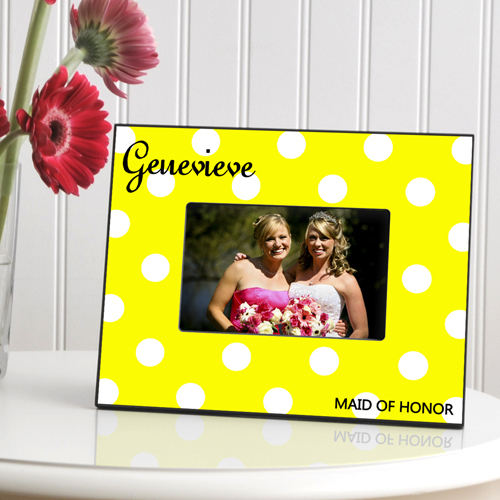 * Frame measures 8" x 10" and holds a 4" x 6" picture.